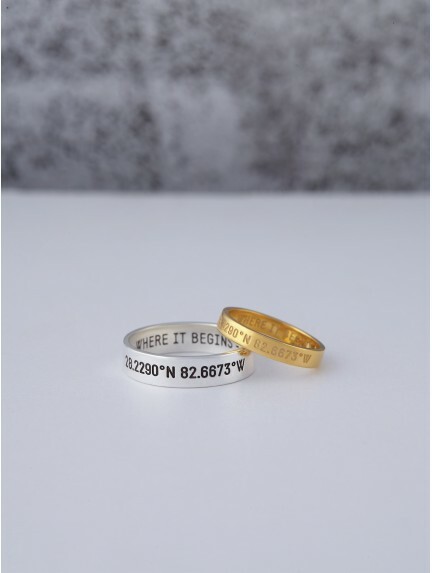 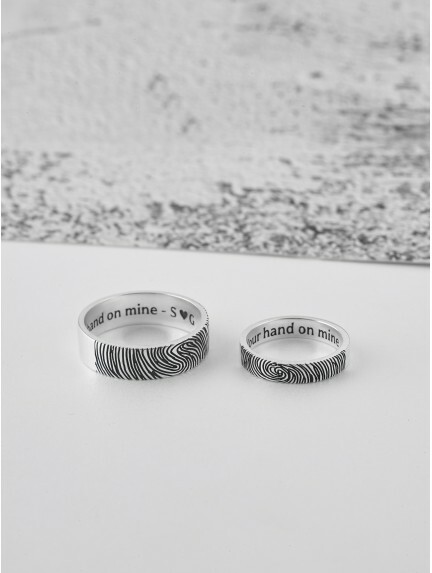 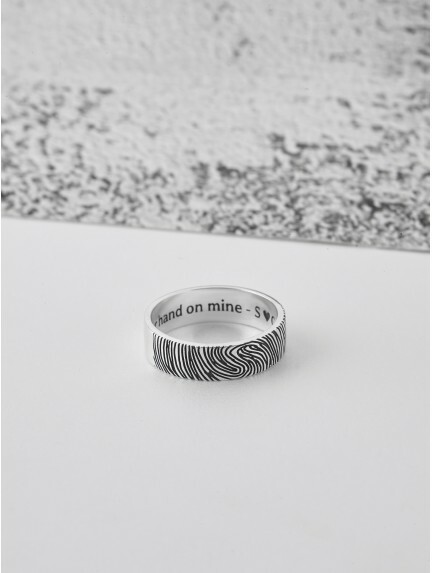 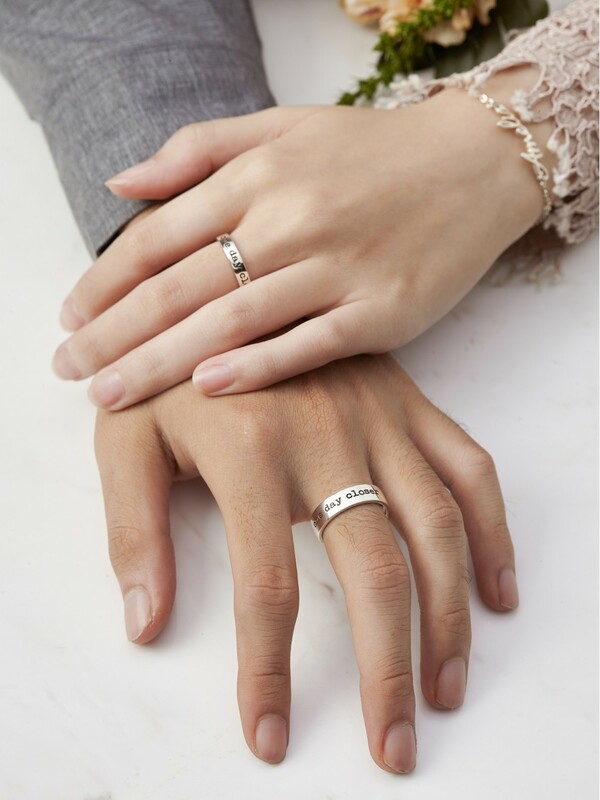 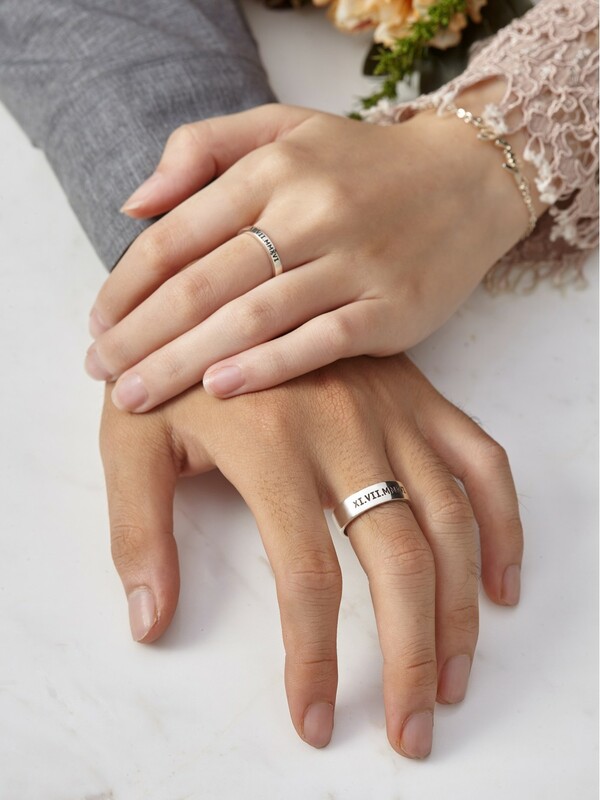 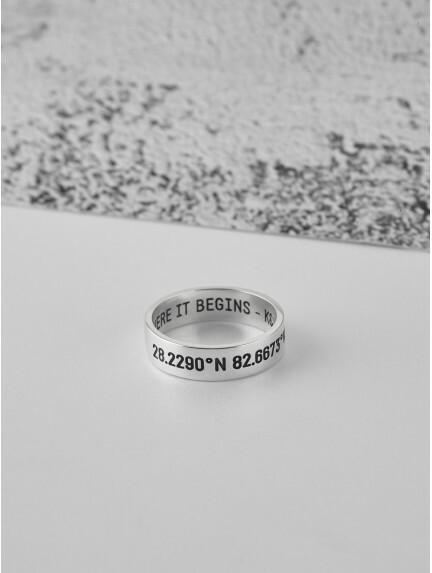 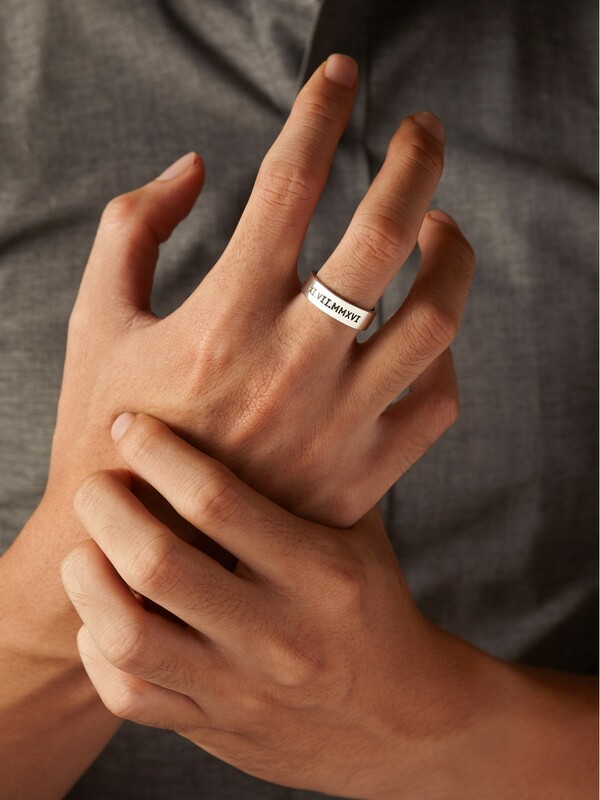 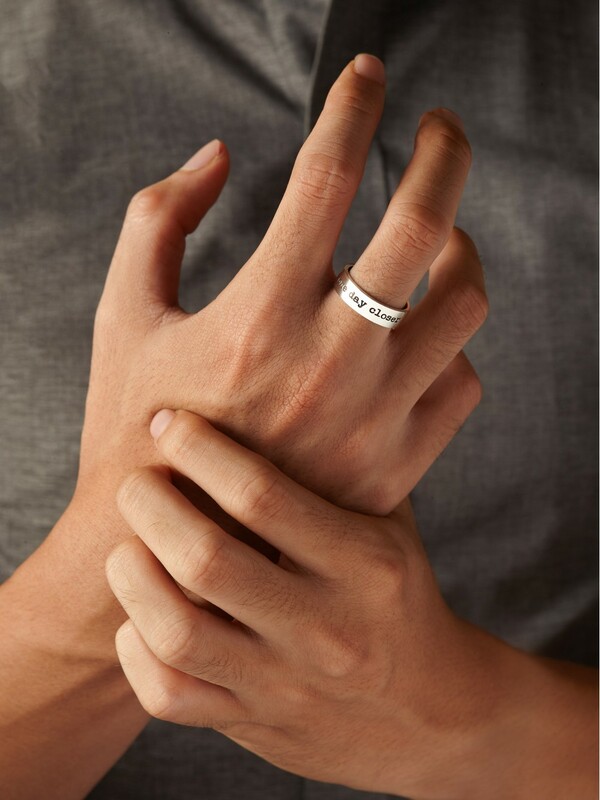 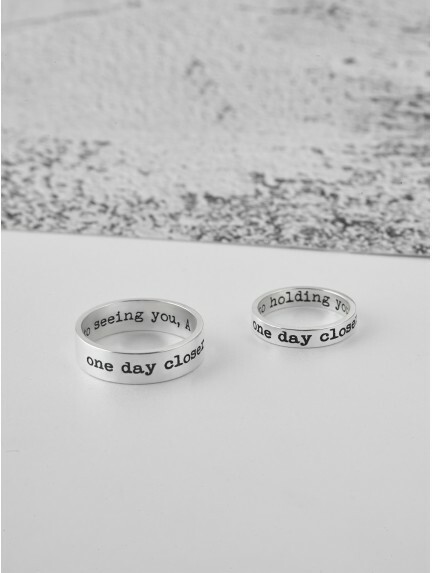 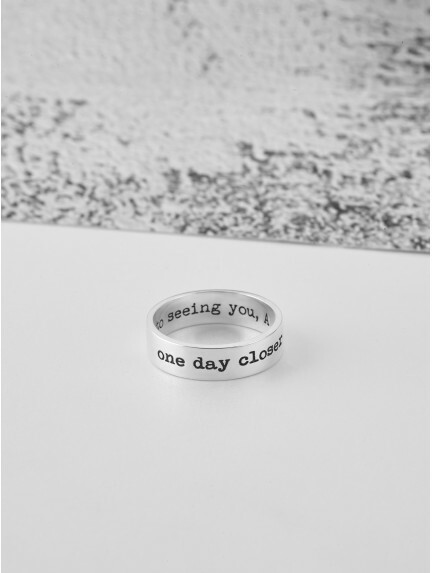 Our sterling silver personalized rings for him can be engraved with anything in our modern font, from kids' names or birthdays to coordinates of a special place. 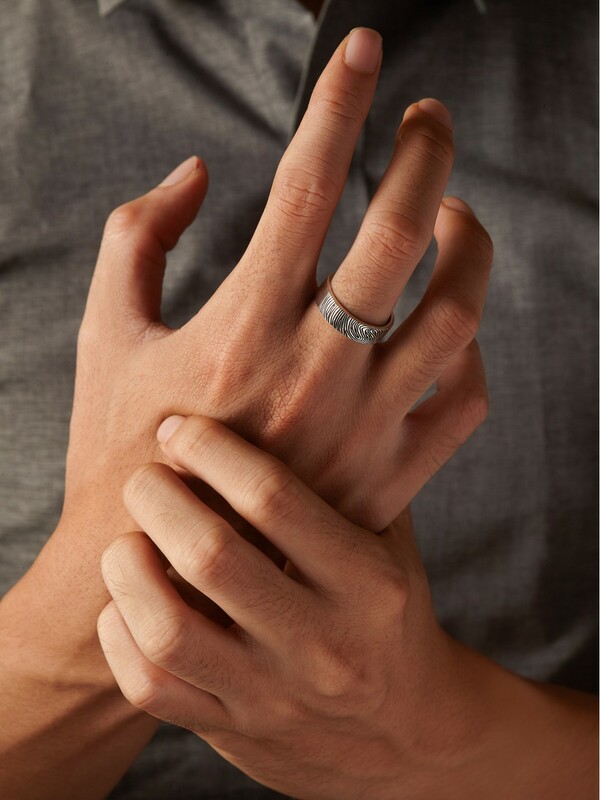 Handcrafted to order and designed in classic lines, these custom rings for him will make for a versatile wear that will please even the most discerning men. 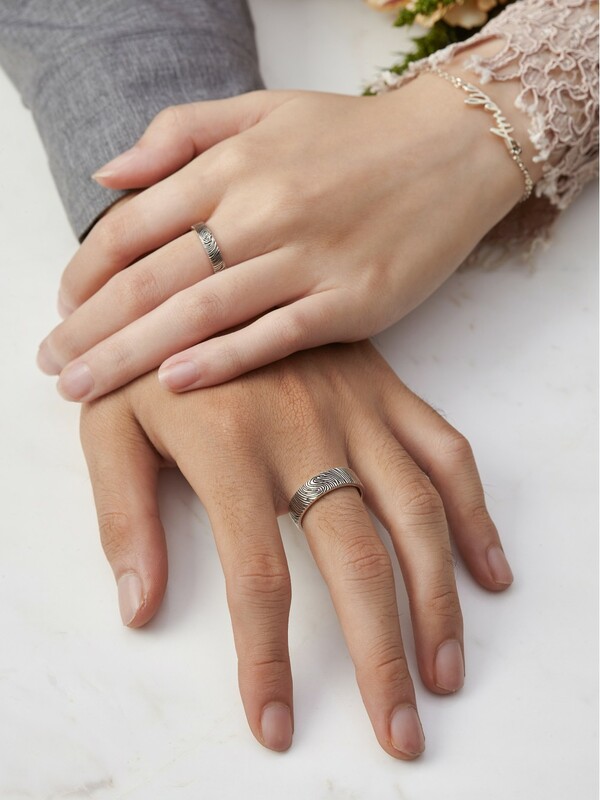 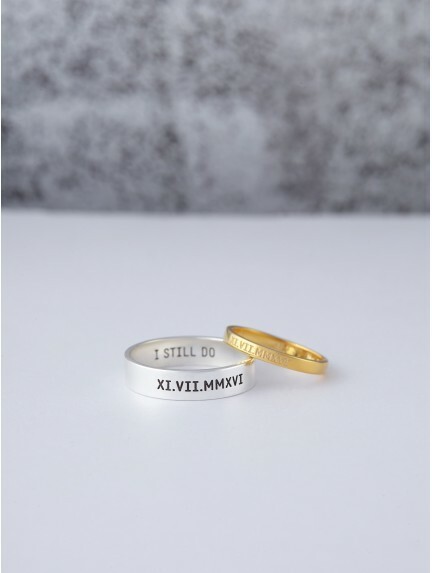 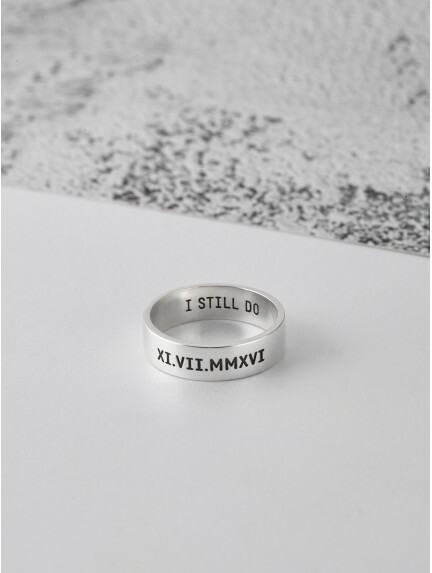 You could choose to personalize our men's rings with roman numeral date of your wedding to make a customized ring for him to wear as an alternative for his wedding ring on sporty days out.